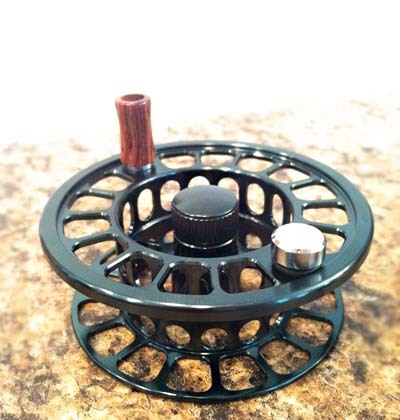 Large Arbor Signature Fly Reel. 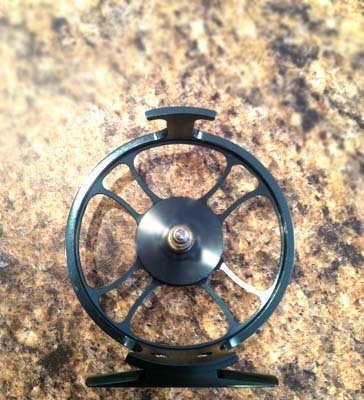 We really wanted to have a quality fly reel on par with the Abel, Galvan, and Ross reels. 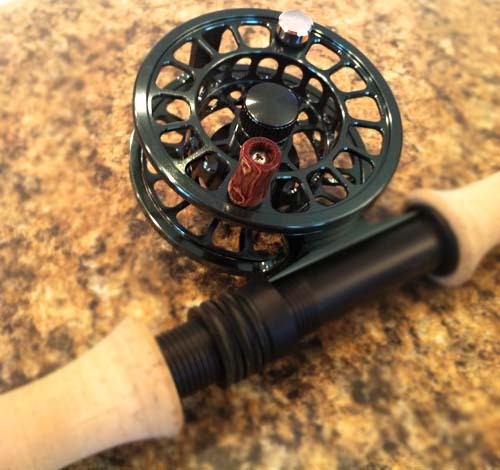 As you can see from the pictures, our prototype fly reel is a gorgeous, classic metallic green color that looks amazing on any angler's fly rod. This lightweight reel is crafted from fully machined 6061 bar stock aluminum that is corrosion resistant anodized, with a strong carbon disc drag perfect for fighting the biggest trophy trout. Our 5/6 Wt. 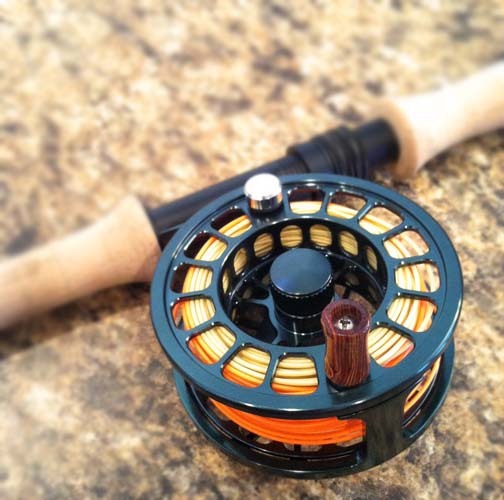 reels are the definition of large arbor at 3.31 inches in diameter and a weight of only 5.32 ounces. As of right now, we have the 5/6 Wt. 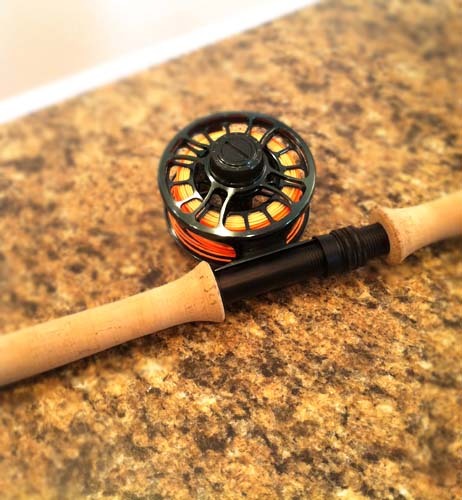 reels available for purchase (Yes, that's a link to buy them) with a free dual color weight forward 6 wt. floating fly line like you see in the pictures here (pale yellow + brook trout orange). We really want to get these out there and have people testing them prior to us going into full production mode. And again, the prototypes do not have our logo on them since they're a limited special product. 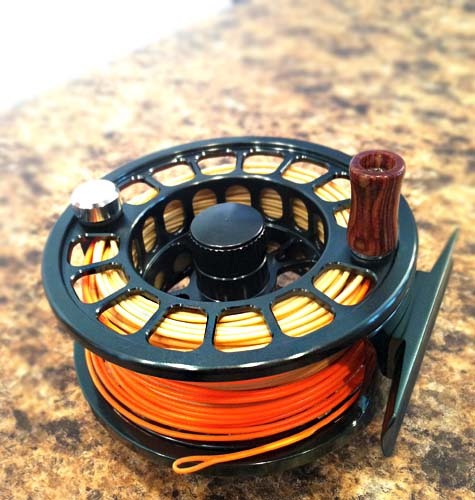 Feel free to contact us with any questions regarding these reels. We will be selling them through our website and through our account DNUAMA on eBay (click HERE) so that it's easier for people to purchase them. Buy them while you can because soon we will be going into full production mode and costs may change. And again, from our home here in Idaho, we just want to say enjoy your time on the water and we wish you the best of luck!